In C#, different data types are registered differently. Furthermore, different actions are allowed to be executed upon them as well. For different data types, a certain amount of memory space is reserved on our computer. So, let’s talk more about data types in C#. 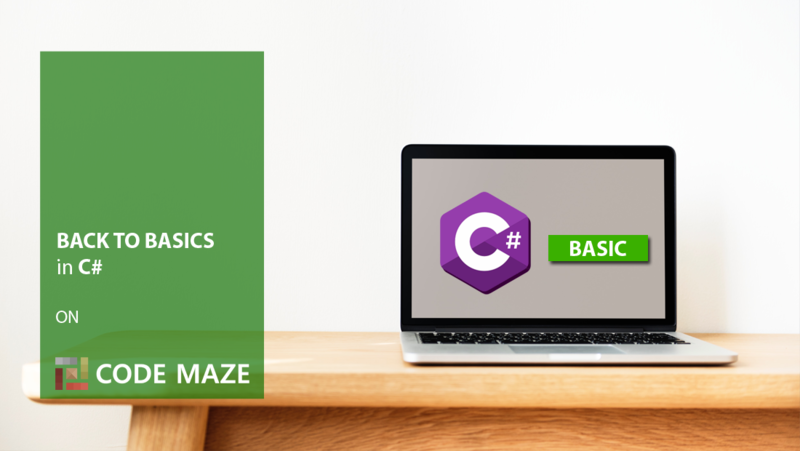 For the complete navigation of this series check out: C# Back to Basics. Data types that represent the whole numbers are expressed with a certain number of bits. For unsigned numbers, the range is from 0 to 2N-1, and signed numbers range is from -2N-1 to 2N-1-1. So if the data type has a size of 8 bits like the sbyte data type, we can represent its range like this: from -27 to 27-1 => from -128 to 127. Letter u in front of the type means that type can’t contain negative numbers, it is unsigned. The types mentioned above are the whole number types. But in C#, we have the number types with the floating point. So, we know we have the value types and reference types, and it is time to talk more about them and variables as well. Variable is a name of a memory location in which application stores values. We should mention that C# is a case-sensitive language so the studentName is not the same as the StudentName. The C# language has its own set of reserved words, so-called keywords. We can’t use them as a name for our variables. For the list of keywords, you can visit keyword-list. In C#, we have variables divided into two categories: Value type and Reference type. The difference is that the value type variables stores their values inside their own memory locations, but the memory location for the reference type variables contains only address to the dynamic memory location where the value is stored. We would like to mention that we don’t recommend to call variables with names „x“ or „y“… We have used that names just for the sake of simplicity. It is a better idea to give meaningful names to our variables. Now we have learned how to declare our variables and how to assign values to them as well. In a next post, we are going to talk about operators in C#.